At Mt. 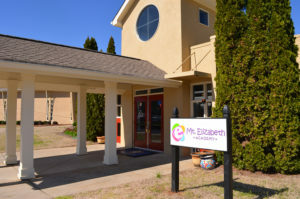 Elizabeth Academy, our Preschool Program provides a fun and loving environment for all of our children. We understand the value of play in the lives of young children. Through play, children develop cognitive, physical, social, and emotional wellbeing. We create a safe environment for children to take the next steps that can encourage growth and all aspects of their development. As children play, interact, problem solve, create, and form communities, they learn. Literacy, science, and math are explored daily with hands-on experiences. Throughout the year the children work on important tasks such as helping during clean-up (we encourage children to take an active role in caring for the classroom environment and materials), circle time and becoming independent in the bathroom (washing hands and learning to potty). The classroom is a fun, creative, safe, and positive learning environment. It’s full of play and opportunity for children to discover what they love about life and enjoy about learning. The teachers help the children transition toward more independence and self-care, from side-by-side play to playing one-on-one or in small groups. They learn to be confident when away from home, and feel secure to be themselves as they mature and investigate their world. Mt. Elizabeth Academy Preschoolers graduate this program with a strong sense of independence and academic awareness. Assistance with continued potty training is important. Children have gained the independence of being in small and large group activities, such as read-a-loud stories, circle time, art activities and interactive centers. Preschoolers are able to honor and be inspired by the incredible connections that they can infer about the objects, actions, and people in the world around them. Our teachers have harnessed the energy of learning to create a focused, engaging environment in which children are poised to thrive. 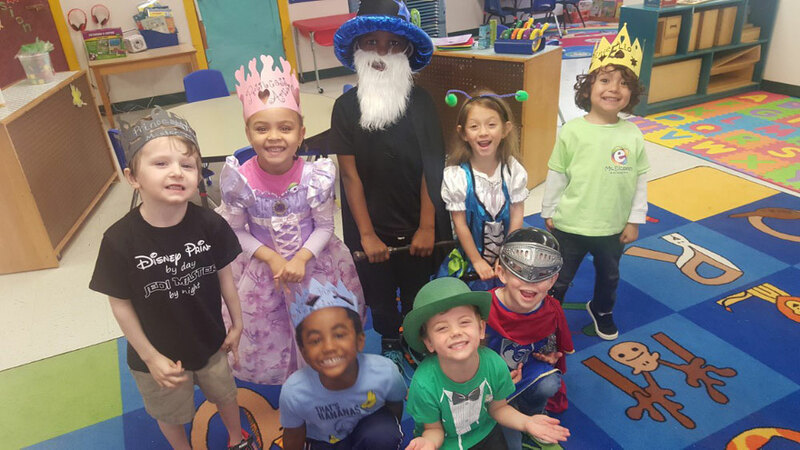 Preschoolers continually interact and socialize with each other throughout their homeroom activities as well as their specials classes. Delving deeper into sharing and caring is an essential part of our preschool program. The teachers are nurturing and committed caregivers. This ensures the preschoolers are in a safe and loving environment. 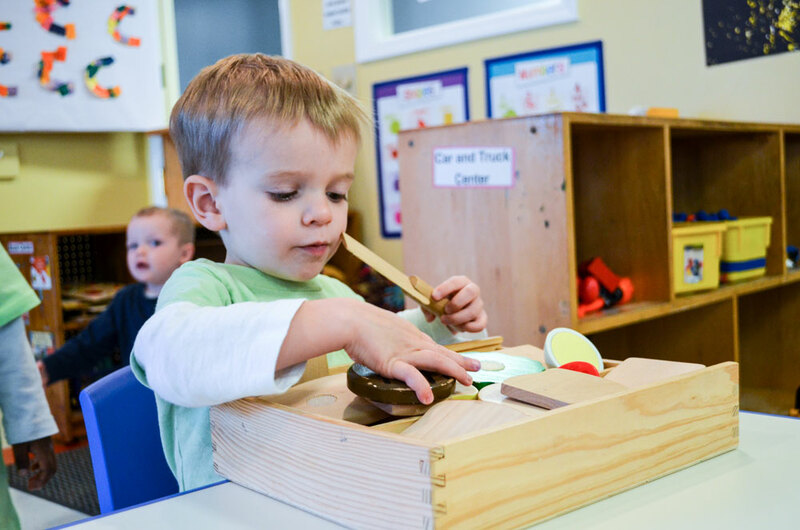 The thematic focus in the curriculum helps to provide the preschoolers with multiple opportunities to explore and absorb information, develop their five senses, and grow both physically and mentally. Parents are involved throughout the day with pictures, videos and messages from the teachers using our secure Brightwheel App. Our parents love our seeing their preschooler throughout the day and knowing that they are in a loving, caring, and supportive environment. Two healthy and nutritious meals, as well as two snacks, are included in the cost of tuition. The monthly menu is available online and given to our families at the beginning of the month. The toddlers are welcome to eat breakfast, lunch, and snacks with their class. During mealtime, the teacher serves appropriate servings to the preschoolers as they eat family style with their friends. Whole milk and water are served with meals and snacks. Our rooms are equipped with preschool-sized tables and chairs, pillows in the book corners, shelves with appropriate toys as well as academic and sensory activities. Each child has their own cubby for personal items and a naptime cot with a sheet and blanket. Parents provide water bottles, diapers/pull-ups, wipes, and extra clothes as needed. Our Preschool room offers preschool-specific reading, math, science & sensory, and pretend play learning centers. The preschool classrooms have doors leading to our outside courtyard to enable easy access to our beautiful outdoor space. Age-appropriate bathrooms are included in each classroom. Corinne teaches PK-3. 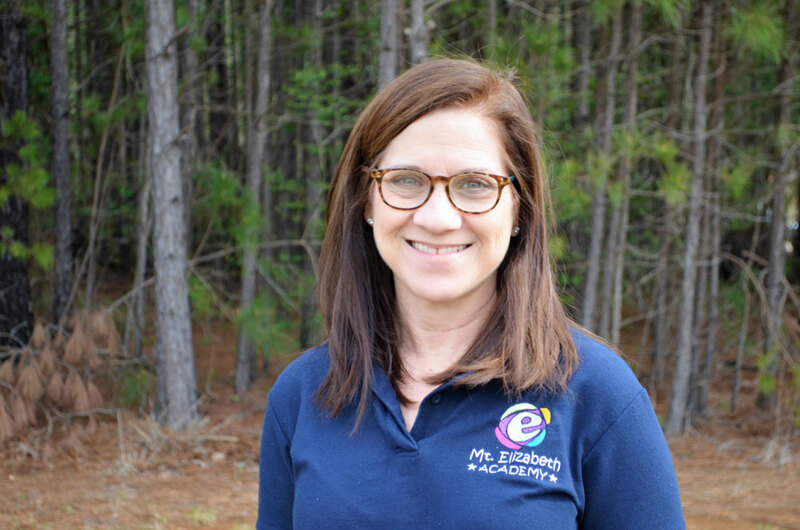 She has taught PK-4 for 14 years and PK-5 for 3 years at a private Episcopal School in Mobile, AL. She was also the coordinator for Sunday school classes (k-2), children’s chapel and the nursery. Corinne loves working with young children, seeing their faces light up when they “get” a new concept. She also loves their complete, innocent honesty. Her favorite part of the day is small group work. It gives her the chance to spend more time getting to know each student. Corinne recently moved here from Alabama. My name is Ms. Kaetlyn and I am a preschool teacher. I have worked as an assistant pre-k teacher prior to my undergraduate career as well as during. 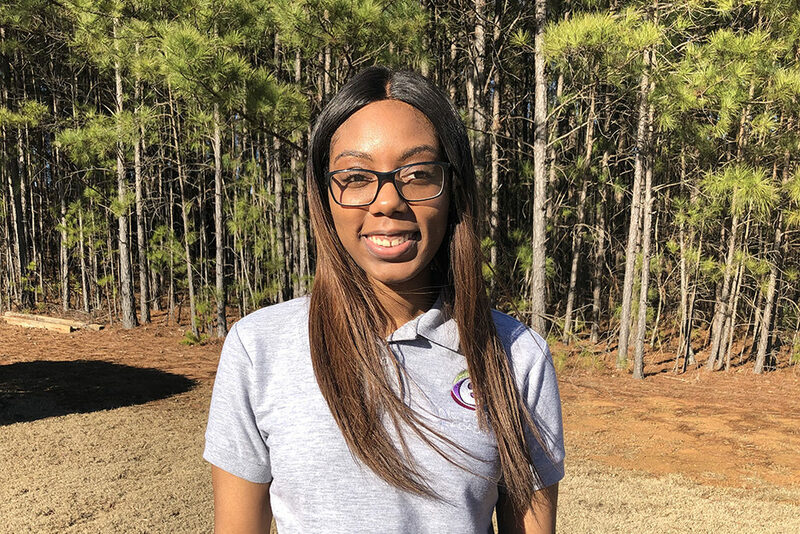 I was involved in the Georgia AmeriCorps Jumpstart program stationed at Georgia State University as a team leader. During this program I worked with pre-k classrooms to help advance them in their reading and writing skills before they entered into Kindergarten. I am a recent graduate of Georgia State University where I received my B.A. in Journalism. During my undergraduate career I participated in numerous clubs and organizations such as becoming a member of Zeta Phi Beta Sorority, Inc. In this organization I held the position of 2nd V.P., Community Service Chair, and Social Media Chair. I am excited to get to know each child in my classroom and help them grow and learn during the time that we will spend together. My teaching philosophy is always lead with fun. I like to keep my classroom engaged by incorporating one thing that everyone loves, music! Music is a fun way to grab everyone’s attention and also learn something along the way.